I cookie servono a migliorare i servizi che offriamo e a ottimizzare l'esperienza dell'utente. Proseguendo con la navigazione senza modificare le impostazioni del browser, accetti di ricevere tutti i cookie del sito web di Milan Srl. Per maggiori informazioni, consulta la pagina del trattamento cookies. TASKER AT ISE 2019 ! 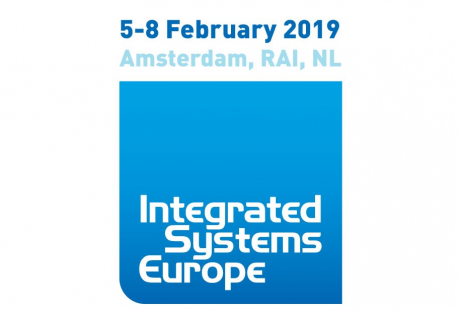 we are glad to inform you that Tasker will exhibit once again at the ISE exhibition which takes place in Amsterdam from February, 5th to 8th, 2019. Integrated Systems Europe is the world’s largest exhibition for AV and systems integration professionals, a location where markets and people come together to collaborate, learn and do business. The 2019 edition will attract over 1,300 exhibitors and 80,000 attendees, making it the biggest ISE so far, so you can not miss it! How could you possibly miss out all the above TASKER’S new entries???? We suggest you to get in touch with us and to fix an appointment, making us able to grant you the required time. We remain at your complete disposal for any further information you may have so do not hesitate to contact us! We hope to meet you at the event!